Thread: Who uses an MXR Micro or Mini pedal? One of my goals in life is to never outgrow my pedalboard. But there's not much real estate left there. I have an MXR Phase 90 (script model) and the M-117 flanger. Looks like I could really free up some real estate there by going with the Phase 95 Mini and Micro Flanger. But can these smaller versions do the typical VH sounds like the bigger versions can? I can't find any Youtube demos that show it, or at least have a decent amp tone and playing to make a good comparison. Anyone here know about this? I just found this old picture of my first pedal board, LOL! My Phase 90 is on it. I can barely see the orange tucked in between the red Boss Delay, and the purple Boss Flanger. I couldn't even fit a guitar pick on that thing, LOL! I'm told by some players that the Phase 95 can absolutely replicate the script and block letter MXR phasers. 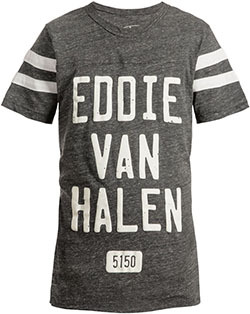 This is interesting, yet I really like the look and sound of my EVH striped one. As far as the Micro Flanger? That depends, and it is a pedal I've personally owned. Andy from Premier Guitar did a demo of it, and got a great replication of the HAIL intro with a rolled back clean tone. That sold me on it. It was great for that stuff and also for soloing with distortion, yet did NOT (for me) cut it for stuff like Unchained, or the Mean Street string rubbing swoosh; which is what I want a Flanger to do! 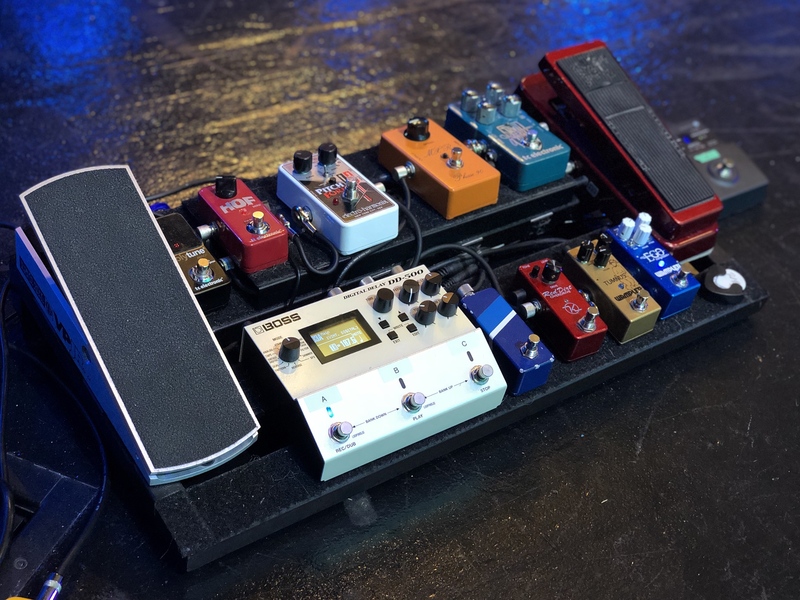 Jedi McFly swears by his TC Dreamscape pedal, which is roughly MXR sized and has a few different modes, one being a Flanger that he says is very close to the old EVH kind of sound. Phase 95 can get the same tones as the full size Phase 90s - just ask Pete Thorn. And the 95 has more options too. And as Robbie said, the TC Electronic Dreamscape gets you 95% of the way to the full MXR Flanger tone in half the size and half the voltage (standard 9v). That 5% sacrifice is absolutely worth having space for another pedal AND having chorus options on the Dreamscape as well. The PHASE 95 IS THE WAY TO GO! IT DOES EVERYTHING! Yes, that is all in caps for emphasis. You can't beat that damn pedal with any other MXR phaser due to its versatility, cost, and size. I've never played the micro flanger, but I've heard its not as versatile at the 117. Side note, has anybody used the smart gate the same way Matt Bruck describes in the 2015 GW interview? I've always wanted to test that, but not drop the dough without knowing for sure since I don't play out as much anymore. Just got me a '82 MXR Micro Flanger!